Today at a new little fruit stand in town, I stumbled upon a citrus I'd never seen before. 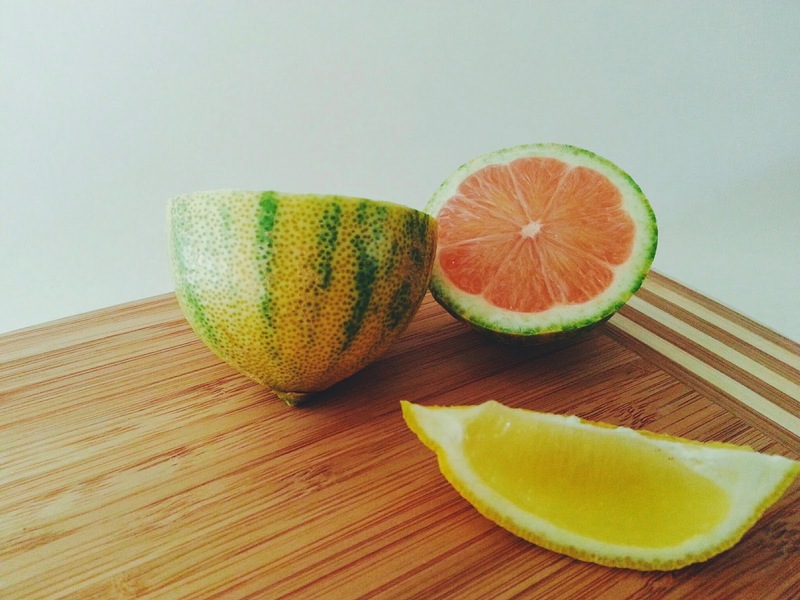 Like a tiny under ripe watermelon, or a striped lime. I was told it was called a variegated pink lemon. I just had to buy a couple to take home and taste and see the insides for myself. To utilize these pretty pink lemons I decided to make a glass of refreshing lemonade. My hubby isn't one for sweet beverages and regretfully I had only bought two lemons so I decided to experiment, and come up with a dee-lish way to make some lemonade just for me. Here's the pink lemon sliced in half next to a traditional lemon wedge. Lemonade isn't really something I make too often. You gotta squeeze a whole lot of lemons and ordinarily it's got tons of sugar. Definitely not my go to drink. But this recipe only calls for two lemons, and for a sweetener, a little agave nectar. 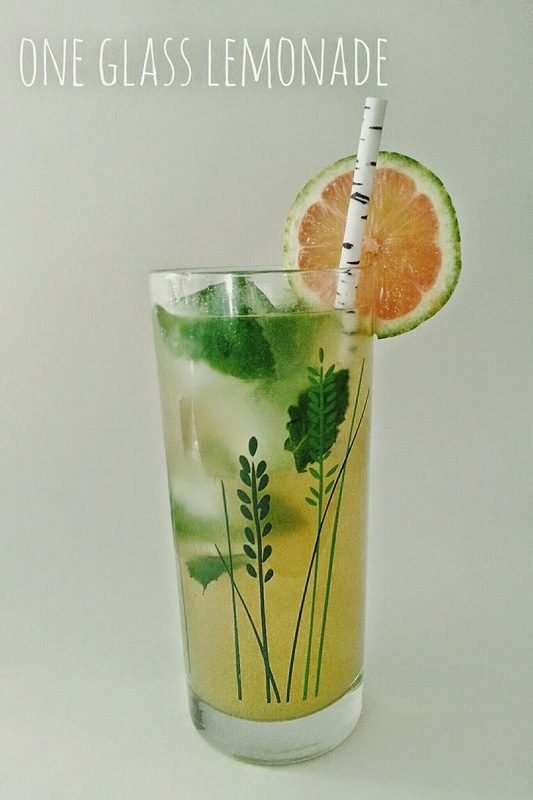 This lemonade also gave me an opportunity to use my fresh mint ice cubes too! 1. Squeeze the lemon juice into a tall glass and then add the agave. Stir together until the agave is dissolved. 2. Next add the ice cubes to the top of the glass. 3. Top off the glass with cold water, give it a quick stir and garnish with a lemon slice.